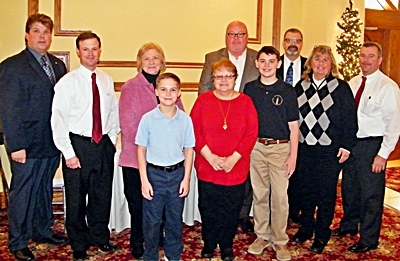 Five local organizations received donations from the Rotary Club of Joliet. The money was generated from the weekly Sergeant at Arms program. This year’s collections topped $6,000. The recipients were nominated by club members and then selected by the Giving committee chaired by Diane Habiger and Jackie McTee. The Joliet Rotary Club meets at 12:15pm each Tuesday at the Renaissance Center in downtown Joliet. For more information about the club, visit the website: www.jolietrotary.com.